Here’s the dilly. Copepods are common little crustaceans that are found in the ocean and most freshwater habitats. 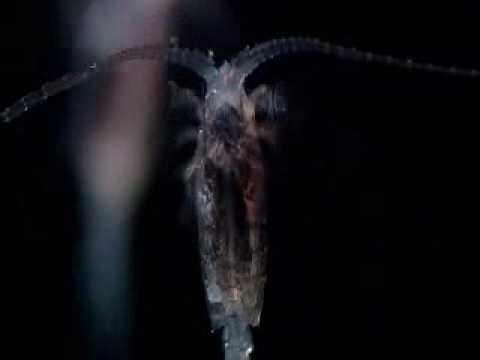 One type of deep sea copepod is bioluminescent (look it up) and can blink on and off like a Christmas light. Kewl beans. More amazingly, they can also fire time-delayed chemical light bombs to throw off predators that try to zero in on their flashes. Dia-freaking-bolical. Anywho, Light Bomb Firing Copepod. Wanna see what it’s like to drive through a deadly forest fire? OK.